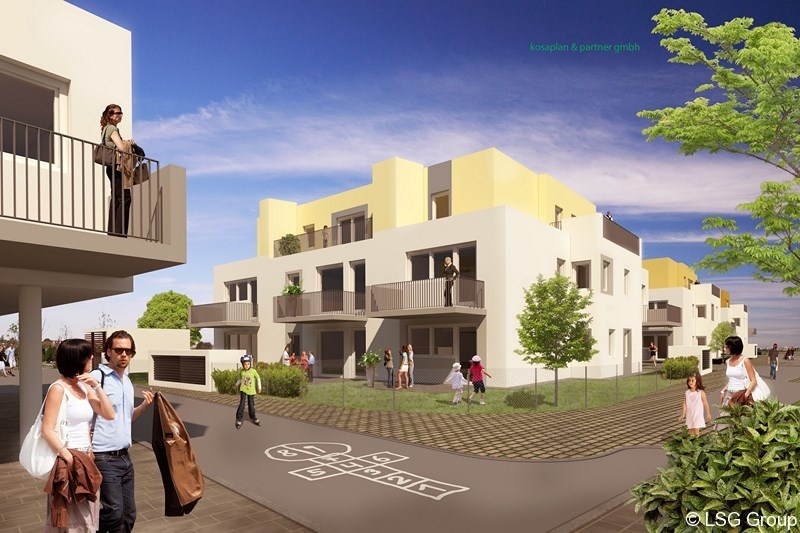 We have been contracted by RHM GmbH with the HVAC & Plumbing work for the apartment complex ATLAS Geymüllerstraße. The current project was the winner of a planning an architectural selection process. The project comprises 7 structures of solid construction offering 104 apartments. All the buildings are connected through the basement which also holds an underground garage with 132 parking spots. There are 24 more parking spots outside the buildings, predominantly allocated for visitors. All the apartments can be adapted to be barrier-free, according to Lower Austrian supported housing.